Primark ' stores are huge and you literally get lost in them. The choice is incredible and prices are very good, which in these hard times help enormously in wearing something, especially young girls who grow so quickly. At the last Press day I've picked some items I like so if you liked them too you can chase them up in store. This little ensemble is great and it reminds me of something my mother had with the same print in the 1960s. The top will cost £ 8.00 and the skirt £ 8.00 too. Very easy to match anything because of the colours, so the skirt, as well as with the matching top can be paired up with really anything in your wardrobe. Look for them from the end of January. This great dress is very 1950s and at £ 20.00 it is a real bargain. Accessorises are vital for the right look. With ballerina pumps you will be a perfect Audrey Hepburn in "Roman Holidays", while with a pair of high heel sandals will give you a Marilyn Monroe vibe. look for it at the end of March onward. These sunglasses are lovely with pineapples scattered all over for a real tropical look. At £ 2.00 they can't be left in store. Check them from April. 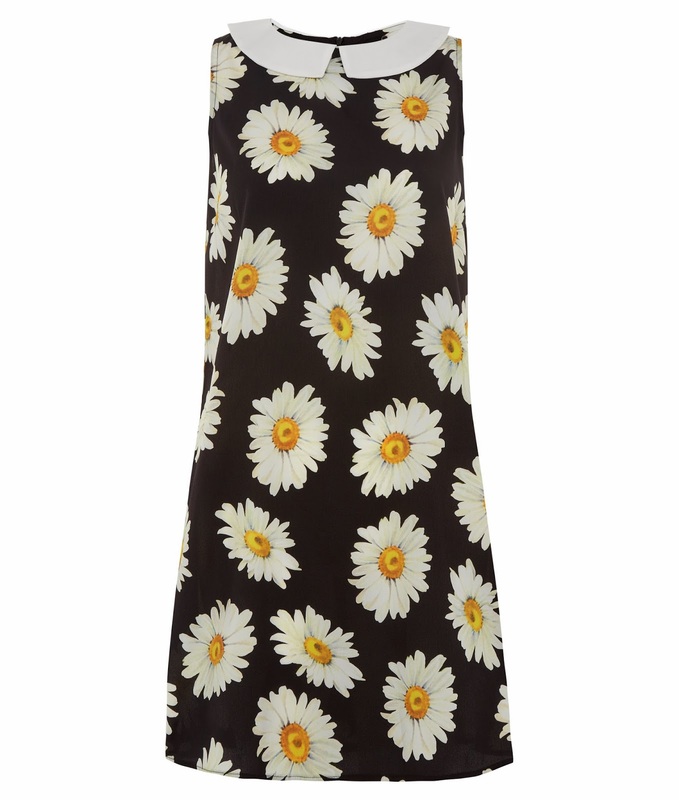 This Daisy dress is very versatile and it can be worn now and during the warmer months. It will be in store at the end of January or even before, so look for it now because at £ 13.00 this dress has got lot of potential. With a black turtle neck top, thick tights and boots or with leggings or black denim is fine for these cold temperature. When the weather is going to be warmer ditch the top and wear it with flats. 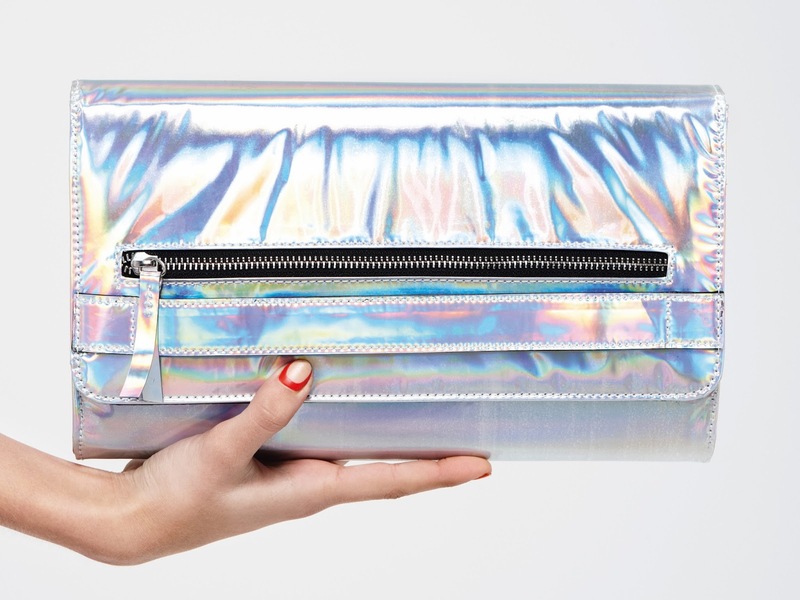 I love accessorises and this metallic clutch bag I think it is great. Priced at £ 8.00 it will be in store from February, just in time for the beginning of the fashion weeks. The clutch is big enough to store your essentials like a mobile phone, keys, Oyster card during the party season. 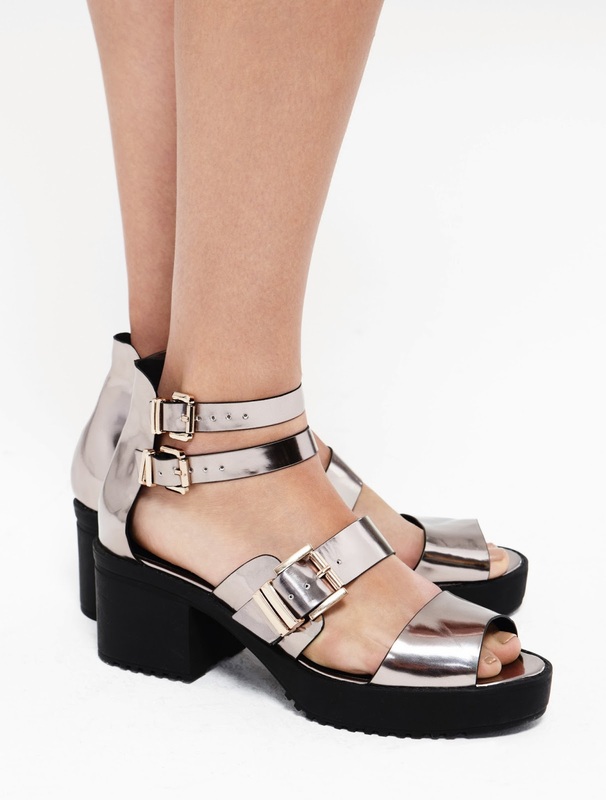 These sandals will see you through all the warm months and they will be great with trousers and skirts. The metallic silver colour matches anything and IO am sure they are so comfortable that they can be worn all day even if you walk for miles. Go in store from February and look for them at the shoe department. The price tag is fantastic, only £ 18.00. 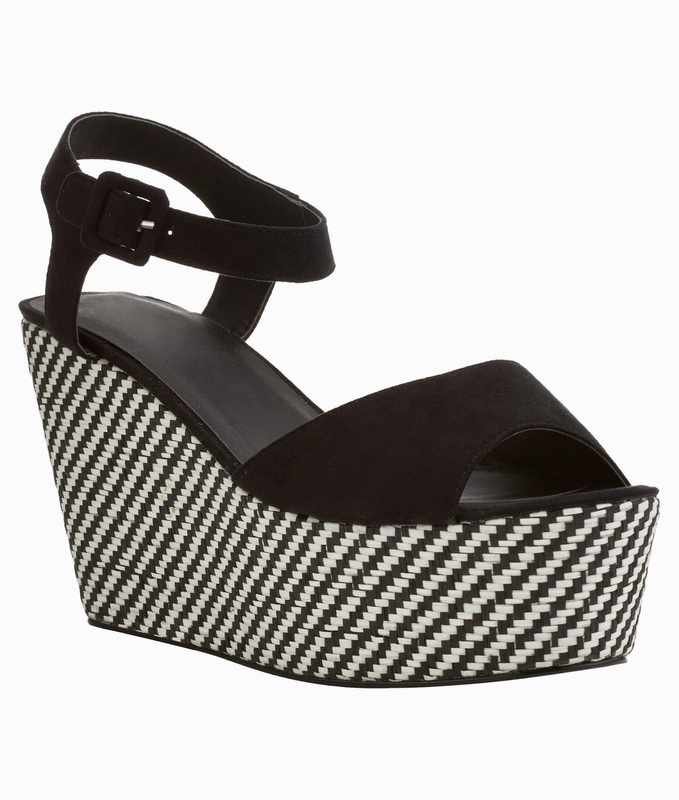 These monochrome wedges are great. Despite its height they are very comfortable because the wedge hold the weight of the body. They are available in white as well at £ 12.00 from March. For more check the website at www.primark.com and start shopping.